Well friends, we’ve come to the last chapter in Differentiation in Practice by Carol Ann Tomlinson and Caroline Cunningham Eidson. 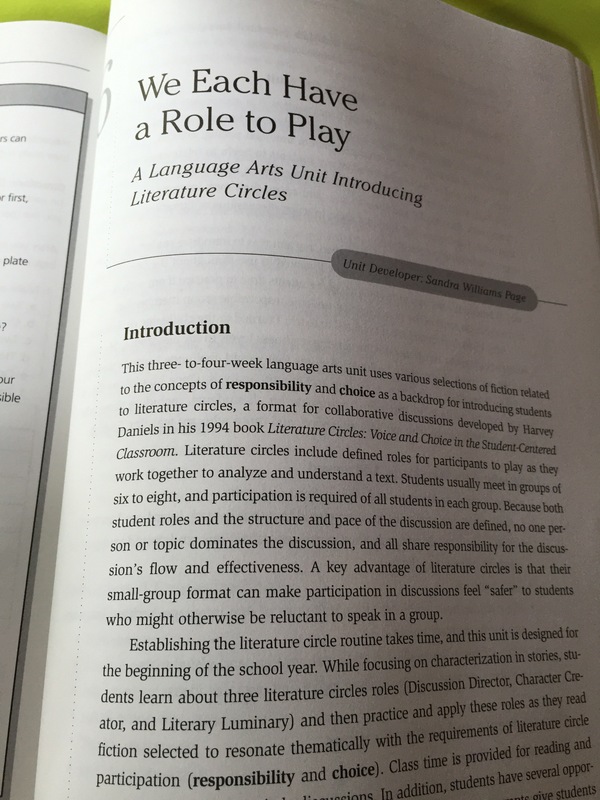 This chapter brings us back to English Language Arts and focuses on literature circles. To be more specific, it’s a unit designed to introduce students to literature circles. 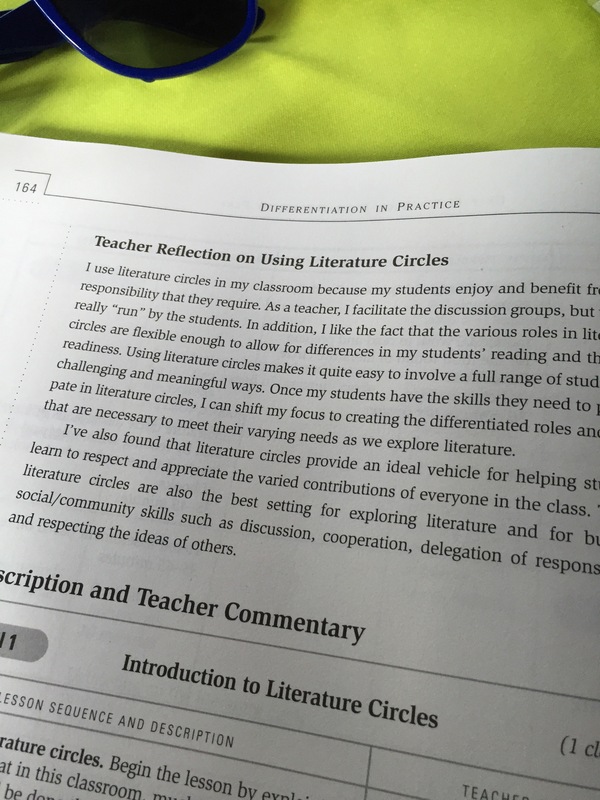 As a new elementary teacher, I have of course heard of literature circles, but never actually used them. Thus, a unit to introduce them is perfect to introduce them both to my students as well as to myself! One thing I quite like about literature circles is that they instill a sense of responsibility in students. They all know what their role is within the circle and if they do not complete it, they’re solely responsible. Additionally, they allow students to work on communication and group work skills in a small group setting so that it’s not intimidating for students who suffer from anxiety or are shy. This was a short chapter, but a good introduction to literature circles and a good jumping off point. It lists other helpful resources to aid teachers in implementing literature circles (Literature Circles by Daniels and Moving Forward with Literature Circles by Day, Spiegeleisen, McLellan, and Brown) which I know I will be checking out. Alas friends, this has been our last chapter in Differentiation in Practice. If you’re interested in the book, here’s the link to it on Amazon. The next book I’ll be discussing is Neurodiversity in the Classroom by Thomas Armstrong, be sure to check it out!